*Pipes for both the northwest and northeast sections of the steam tunnel are expected to be delivered Monday (October 31). Two trucks will be making the drop-off. Installation of the steam types in the northwest section of the tunnel will start shortly thereafter. Northwest section of steam tunnel. *As for the northeast section of the steam tunnel, excavation is set to begin Monday. 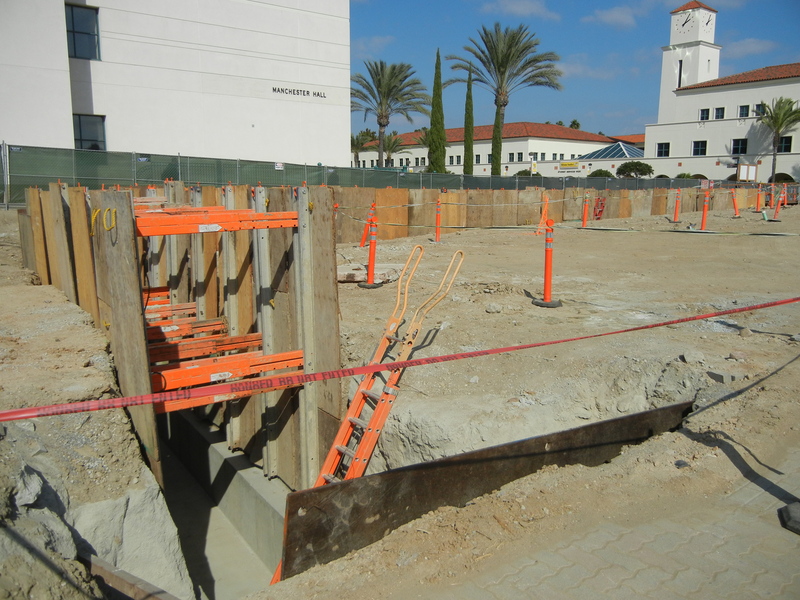 Once excavation is complete, then workers can pour the tunnel’s foundation and walls. Then the pipes can go in. Site of upcoming northeast steam tunnel. *Grading got underway yesterday. 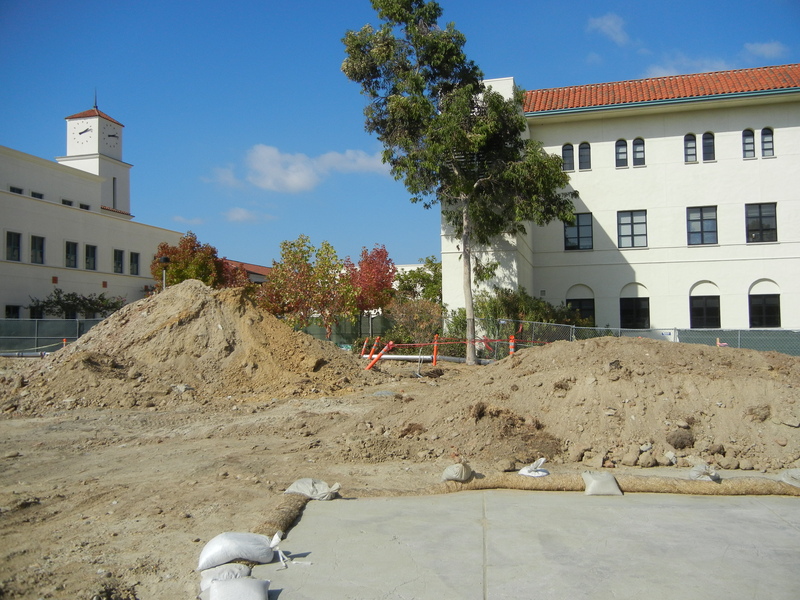 Crews are over-excavating three feet of dirt in the south end of the pit right. That means crews are removing the dirt, processing it and re-compacting it. This technique is used to minimize settlement of a structure into the earth. 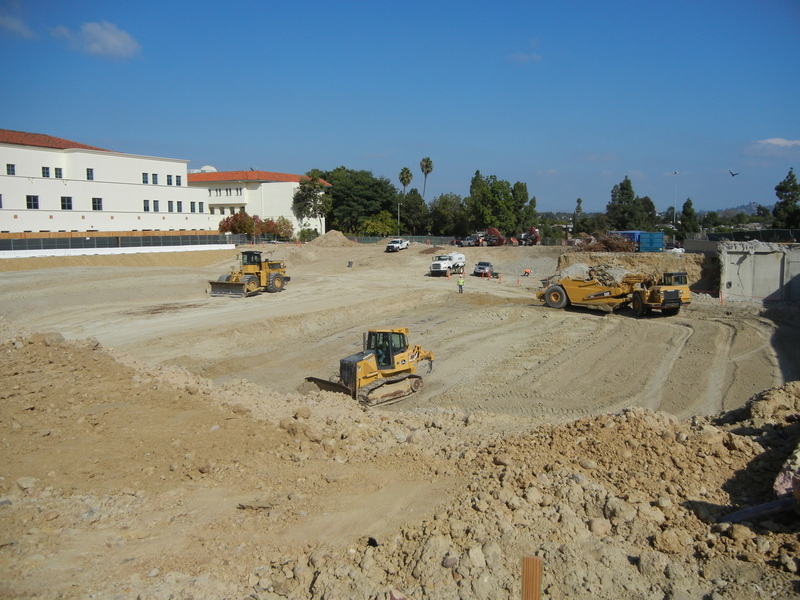 Over-excavating, which includes a vehicle called a scraper (far right). 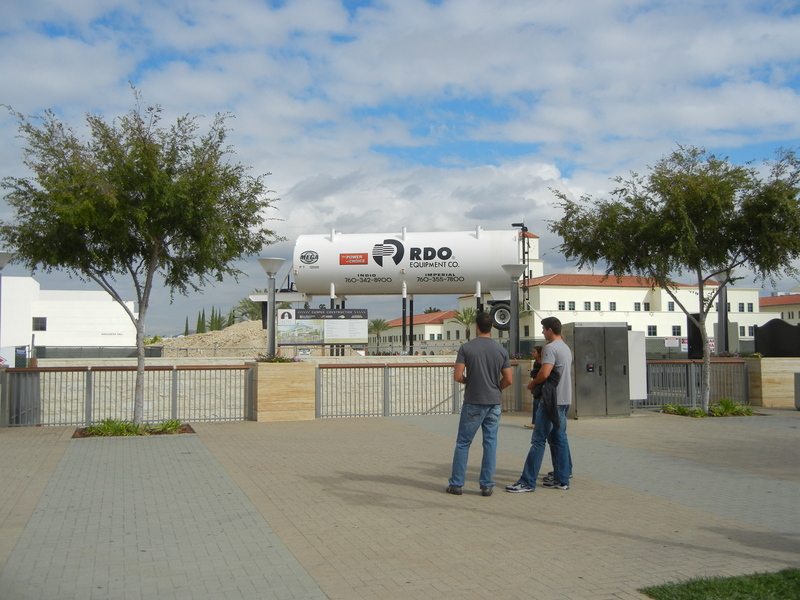 *The large tank you see at the south end of the site is for water. The grading is disturbing large areas of dirt at the same time, so to keep the dust down it will be necessary to use water trucks rather than hoses. The water tank can discharge faster than a hydrant and thus fill the water trucks quicker. The tank will then be refilled in off hours from a hydrant. 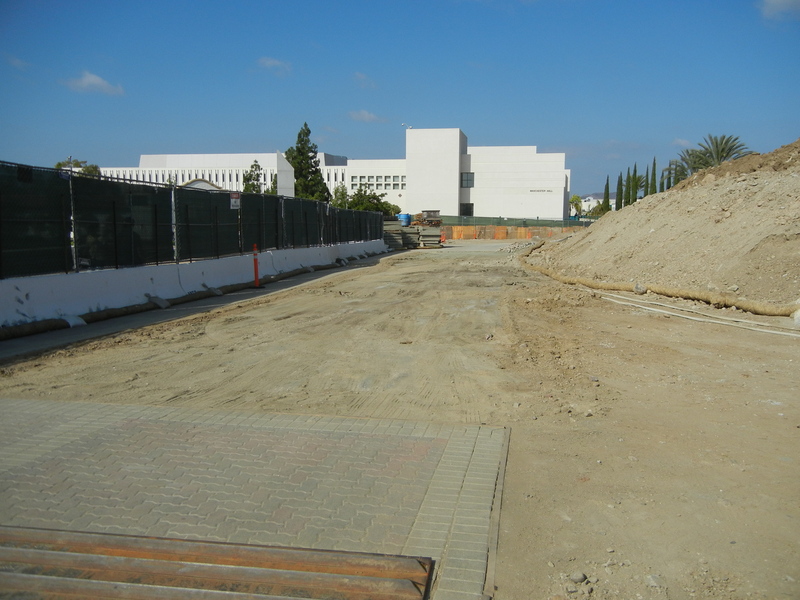 *The brick pavers on the west side of the site have been removed. That clears the way for the eventual commencement of underground utilities.